In 1986, schoolchildren in western Kentucky petitioned their state representative to propose fresh-water pearl as Kentucky state gemstone, and the Kentucky General Assembly made the designation official on July 15, 1986 (Kentucky Acts ch. 488, sec. 2). Freshwater pearls can be found in Kentucky and are attractive, but they are not typical gemstones. Gemstones are usually minerals. Pearls are deposits of calcium carbonate (aragonite, calcite, or both) called nacre. Pearl (nacre) is not a mineral because it does not have a distinctive crystal structure and because it is formed by the action of a living organism. Minerals are formed without the actions of living organisms. Because pearls have long been used in jewelry, however, they are considered gemstones. Pearls form around irritants (usually sand grains) within a pelecypod shell (usually clam, oyster, or mussel). 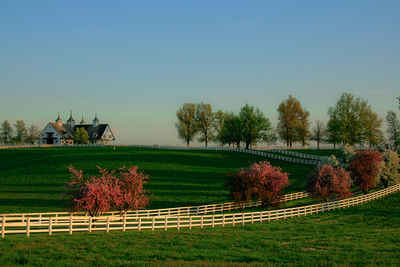 Freshwater pearls are the state gemstones of both Kentucky and Tennessee. Natural freshwater pearls were historically found throughout the Mississippi and Tennessee River valleys. Damming of these rivers, over-harvesting, and increased pollution severely depleted the population of natural pearl-producing mussels in these rivers. Today, however, mussels with freshwater pearls are cultivated through man-made processes on "pearl farms" along Kentucky Lake in Tennessee. Cultivation just across the border from Kentucky is a multi-million dollar industry, providing pearls to the Japanese cultured pearl industry. Numerous species of freshwater mussels (Unionidae), especially Megalonaias nervosa (washboard mussels) and Fusconaia ebena (ebony mussels), are used for cultivating commercial freshwater pearls. Different species produce different colors and shapes. It takes 2 to 3 years to cultivate a pearl. Not only are the pearls themselves harvested, but mussel shells are used to produce round "beads" that are sold abroad to use as the irritants around which cultivated pearls in "pearl farms" form. The first experimental US freshwater cultured pearl farm was established in Tennessee by John Latendresse in 1963. Latendresse is the father of US cultured freshwater pearls, having spent nearly 30 years and more time, money, and effort than anyone else in the research and development of the industry. Since proving the technology for culturing freshwater pearls in the late 1970's, Mr. Latendresse has established five freshwater pearl farms. James Peach, who once worked with Latendresse, has established a single farm. Additionally, a single farm has been established in California using mussels from the Southeastern United States. These farms are the foundation of the US freshwater cultured pearl industry, and the cultured pearl is the heart and future of the US pearl industry. 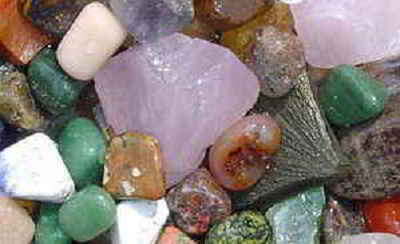 June counts three gems as birthstones; pearl, alexandrite, and moonstone. Historically used an adornment for centuries, the pearl has been recognized as the emblem of modesty, chastity, and purity. 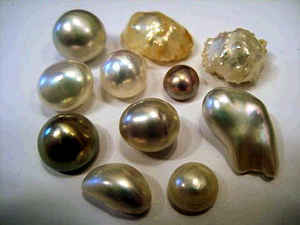 The pearl is also associated with the wedding month of June and symbolizes a happy marriage. Unlike most other gemstones, pearls are not mined. 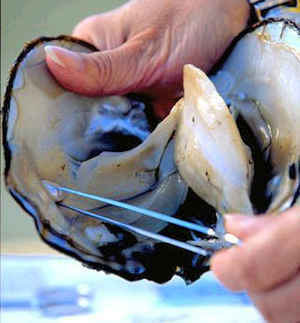 The most highly valued pearls are created inside of saltwater oysters and freshwater clams whose shells are lined with mother-of-pearl, or nacre. Pearls from other mollusks lack the desired luster and are considered to be of less value. When a foreign particle enters the mollusk's mantle, shell-secreting cells attach themselves to the particle and form a protective barrier. The process of "pearling"began before 1,000 BC in China and continues today in many freshwater and saltwater areas of the world. The law designating the fresh-water pearl as the official Kentucky state gemstone is found in the Kentucky Revised Statutes, Title 1, Chapter 2, Section 2.092. TITLE I - SOVEREIGNTY AND JURISDICTION OF THE COMMONWEALTH. CHAPTER 2 - CITIZENSHIP, EMBLEMS, HOLIDAYS, AND TIME. 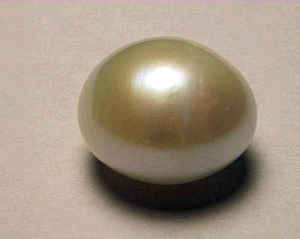 The fresh-water pearl is named and designated the state gemstone of Kentucky. 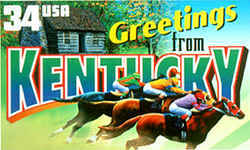 History: Created 1986 Ky. Acts ch. 488, sec. 2, effective July 15, 1986.